Sleep apnea is defined as a sleep disorder that is distinguished by breathing pauses during sleep. These pauses are called apneas, hence the term '˜sleep apnea.' 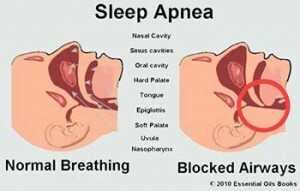 Each apnea can last between a few seconds to a few minutes, and in the most severe cases, happen frequently each hour. Patients of sleep apnea may or may not also experience ahypopnea, which refers to the disorder of having an abnormally low respiratory rate. As you may have guessed, there are obvious risks to having sleep apnea. Whenever there is a gap in our breathing, Co2 builds up in our bloodstream. When this occurs, the brain than automatically signals the asleep person that they need to breathe, effectively waking them up. Once the now woken person begins to control their breathing and get everything back in balance, they'll fall back to sleep, but the above process only repeats itself. This obviously makes sleeping at night rather difficult, and fatigue throughout the day can result. All individuals regardless of their age or gender can be susceptible to sleep apnea, but people who are more likely to develop sleep apnea are those who are overweight, over forty years of age, have an enlarged tongue and/or tonsils, sinus/nasal issues, a small jaw, and/or a genetic history of sleep apnea. In addition, smoking also drastically increases the chance of a person developing sleep apnea even if they don't meet any of the above characteristics. 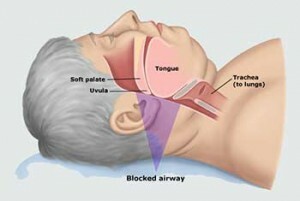 Today, over eighteen million adults in the United States alone suffer from sleep apnea. Considering the fact that you're reading this article, you probably have one question in mind at this point: how do I know if I have sleep apnea? Now that we know what sleep apnea is, the negative effects of it, and who is the most likely to develop it, let's dive into the symptoms of sleep apnea and other ways to find out if you have it. If you've recently been waking up repeatedly at night and have been getting up in the morning feeling excessively tired with a headache, or if your spouse left the bed earlier being tired hearing you snore and gasp throughout recent nights, then there is a chance, but not a definitive certainty, that you have sleep apnea. There are three major warning signs that exist for sleep apnea. These include the following: loud and consistent snoring throughout the night, fatigue during the daytime, and consistent breathing pauses and gasping while sleeping that causes you to wake up. 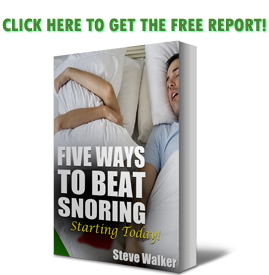 You might think that if you are snoring excessively throughout the night that you definitely have sleep apnea and need to see a sleep specialist. This is simply not true, considering how the overwhelming majority of people who snore do not have sleep apnea. When you should see a sleep specialist is when you are waking up hundreds of times throughout the night to gasp for air, before going back to sleep. This will usually be witnessed by a spouse or bed partner, and if they observe you constantly waking up throughout the last several nights, then there's a good chance that you have some form of sleep apnea. To further reinforce the theory that you may have sleep apnea, patients will often wake up with excessive headaches that can last well into the morning if not the entire day. If most of these signs have been happening to you, it would be a good idea to see a sleep specialist. The benefit behind seeing a sleep specialist is that they will be able to officially diagnose whether you have sleep apnea or not, by measuring daytime sleepiness with the Epsworth Sleepiness Scale. People who have sleep apnea will often feel a stronger urge to sleep while eating or engaging in conversations with other people. Even if the signs that we have just discussed have been occurring with you, you may not feel that you are at the point where you need to see a sleep specialist. While the signs that we have just mentioned are the strongest signs of sleep apnea and therefore the most compelling reasons to see a sleep specialist, there are also secondary signs of sleep apnea that can persist after the stronger warning signs have taken effect. A major secondary sign of sleep apnea is waking up with gummy teeth and/or dry mouth. This develops from keeping your mouth open at night since it's difficult to breathe through your nose. Another secondary sign that you have sleep apnea is repeatedly waking up at night with the urgent need to urinate. Waking up repeatedly with this urge could always be a sign of urinary incontinence rather than sleep apnea, which is why you should not consider this a true sleep apnea symptom unless the other warning factors that we have already discussed have taken effect. The reason that sleep apnea can cause the urgent need to urinate at night is because pressure is put on your heart when your normal breathing flow is disrupted, which in turn negatively affects how your kidneys control urine production. The urgent need to urinate will usually only develop in more extreme cases of sleep apnea. Additional signs of sleep apnea include a difficulty concentrating, feeling depressed, and/or becoming easily irritated at simple things during the day. Like urination and dry mouth, these can also be signs for other conditions, which is why you should not consider them symptoms for sleep apnea unless the stronger warning signs have developed first. Sleep apnea can occur in children just as easily as it can in adults, but the difference is that sleep apnea will be more difficult to officially diagnose in children. Additional signs of sleep apnea that exist in children, particularly younger children, include sweating during the night, suffering from repeated nightmares, or wetting the bed. These signs can also be symptoms for other conditions, which is why sleep apnea is more difficult to diagnose, and you would therefore be wise to take them into a sleep specialist at an earlier point than you would take yourself or a spouse. It got me when you said that people with sleep apnea usually wake up with dry mouths because that indicates that they cannot breathe properly during sleep which forces them to open their mouth. If that is the case, then I am pretty sure that my husband has this problem. He does say that his mouth is frequently dry after all. Another reason why I led to thinking this is the fact that he is snoring now when he never snored back then. Hopefully, there is still a way to fix this. If he has to undergo surgery, it’s fine. Thank you for explaining that a sign could be waking up multiple times in the night and being excessively tired. I know my dad has had problems with this for a while, but I’m starting to notice it in my husband. It’s definitely something that I’ll be keeping an eye on so that he can get some treatment if he needs it.